The Rolls Royce Cullinan, the brand’s first SUV, has been officially confirmed and unveiled in a preview image. 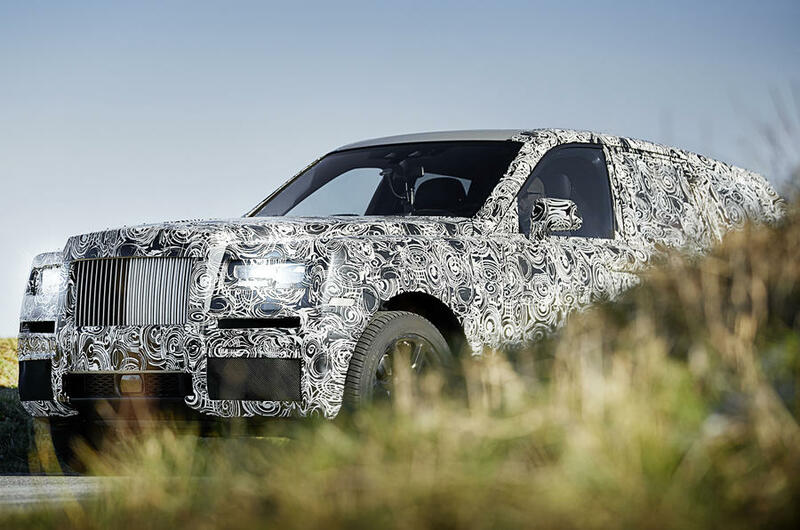 The Rolls-Royce Cullinan is undergoing final testing before it goes on sale in 2018. Rolls-Royce refers to the car as Project Cullinan, although it says this is a development codename for the car, and would not comment on what the production name would be. It has also been confirmed the SUV will be the first model with the four-wheel drive in Rolls-Royce’s 110-year history. The latest test mule reveals the Cullinan’s monolithic shape. It is a fitting look for a name that comes from one of the largest rough diamonds ever. A grille with the vertical chrome slats dominates the front end below the raised hood and chiseled fenders. Large intakes in the fascia make Cullinan look more aggressive than the average Rolls. The firm’s design director is already confirms that coach doors, also known as the suicide doors, are part of the styling. The luxury automaker does not yet fully reveal the Cullinan’s rump, but these images suggest that an angular hatchback at the rear. The roof dips is slightly towards the back, which keeps vehicle from looking too boxy. It is quite similar to an earlier speculative rendering. The pictures have been released to mark the beginning of pubic testing. From tomorrow, Rolls will develop its first SUV on public roads, so expect plenty of the spy shots revealing the car in greater detail soon.